We provide you with complete peace of mind with our 14-day 100% money back guarantee on all of our items. We have one of Australia's finest selections of rare & scarce Pre-Decimal and Decimal Banknotes in high grade. We also carry one of Australia's most extensive range of Half & Full Sovereigns as well as a wide selection of Australian Proclamation, Pre-Decimal Copper and Silver Coins all suitable for investment. Also of interest is our magnificent collection of Ancient Greek & Roman coinage in superior grades for the most discerning collector and many key investment coins from around the world. Together with numismatics, Monetarium also deals in and can assist with the acquisition of precious metals. All our listed items change regularly so visit us again soon! 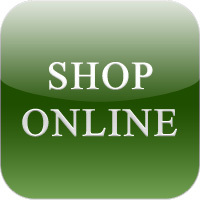 Browse our online shop or visit our eBay auctions. We can offer guidance on starting up your investment. Monetarium Adelaide is always searching for new items. Tell us what you have! For all contact details, click here.